The sign for "Frisbee" is ... well actually there is no sign for Frisbee. 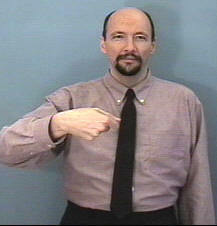 At least you aren't likely to find such a sign in an ASL dictionary (other than this one). I'm including the concept here though because I want you to learn how to "deal with uncertainty." Just because you don't know how to sign something doesn't mean you can't still have a signed conversation about it. 2. Do a little movement that looks like you are throwing a Frisbee. Repeat. 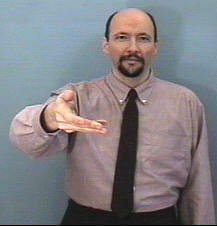 The double movement of the mime-like action helps to establish that you are signing a noun ("Frisbee" or "game of Frisbee") rather than a verb. If you wanted to sign the verb phrase "throw the Frisbee" (assuming that you've already established that you are talking about a Frisbee) you would simply mime the movement of throwing a Frisbee using a single, large movement.